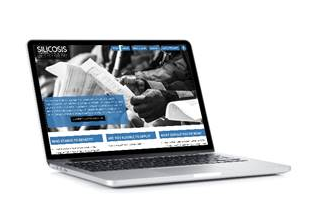 Johannesburg, 19 June 2018: A new website – www.SilicosisSettlement.co.za – and a Facebook page – www.facebook.com/silicosissettlement – have been launched to assist former mineworkers and their dependents who may be entitled to compensation if they worked at one of the six gold-mining companies that have made provisions for a trust to pay mineworkers who contracted silicosis and/or TB at work. The historic settlement was reached on 3 May 2018, after three years of extensive negotiations, between the companies and the claimants’ attorneys. The companies are African Rainbow Minerals, Anglo American SA, AngloGold Ashanti, Gold Fields, Harmony and Sibanye-Stillwater – and attorneys Richard Spoor Inc., Abrahams Kiewitz Inc. and the Legal Resources Centre who represented thousands of mineworkers and their dependents.